Mitsubishi Motors is sometimes the forgotten partner in the three-way alliance with Nissan and Renault that dominates the global auto industry, but the Japanese firm has a colourful—and scandal-hit—history. At an emergency board meeting later Monday, executives from the firm are expected to oust Carlos Ghosn as chairman following the tycoon's shock arrest a week ago on allegations of financial misconduct. Here are some facts and background about the Japanese firm which employs around 31,000 people and whose products are sold in 160 countries. Founded in 1970, the Tokyo-based firm has found itself on the brink of the scrap yard following massive corporate scandals. In 2000, Mitsubishi Motors was forced to confess it had failed to inform the authorities about at least 64,000 customer complaints over faulty vehicles since 1977, opting to repair the vehicles itself instead of issuing costly model-wide recalls. Four years later, the scandal broadened as it emerged the firm also covered up faults on 160,000 passenger cars and failed to declare a full recall. The scandals had a major impact on Mitsubishi's domestic car sales and stock price, as trust in the firm was shattered. Then, in 2016, another scandal broke: the firm had been cheating on fuel efficiency tests on cars for its home market for the past 25 years to make them appear more "green." This scandal affected hundreds of thousands of cars. The series of scandals had a catastrophic effect on sales and the share price of Mitsubishi Motors and it was twice hauled from the verge of bankruptcy. In 2004, the car firm was saved by the wider Mitsubishi group—including Mitsubishi Heavy Industries—one of Japan's biggest industrial conglomerates. 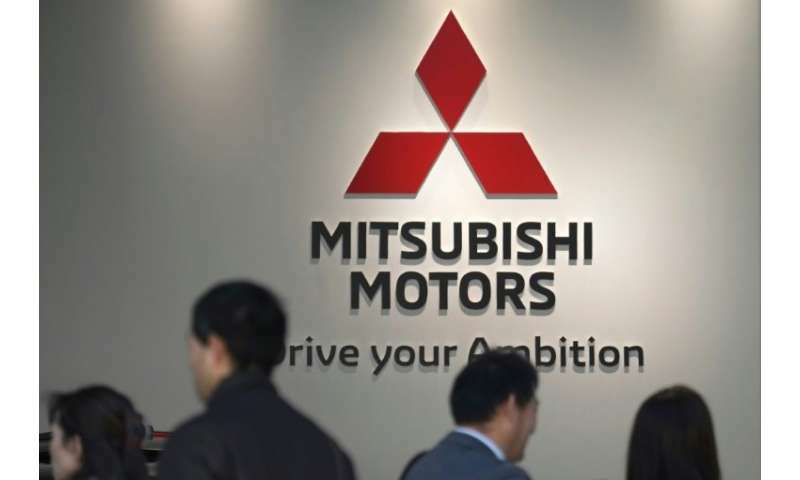 After an initial cash injection of 496 billion yen ($5.2 billion at the exchange rate of the time), three companies (Mitsubishi Heavy Industries, Mitsubishi Corp. and Bank of Tokyo-Mitsubishi) ploughed in a further 270 billion yen to keep the car firm afloat. This gave the combined holding 34 percent of Mitsubishi Motors stock. After the fuel-mileage scandal, who should ride to the rescue but Ghosn. The businessman snapped up a 34-percent stake in the struggling Mitsubishi Motors at a cost of 237 billion yen and became chairman of the firm. Rather like Nissan, also saved by Ghosn from serious financial trouble, Mitsubishi's fortunes were revived after joining the three-way alliance with Renault. In its most recent financial statement this month, it announced a gain of seven percent in first-half net profits compared to the same period the previous year. Operating profits jumped nearly 29 percent. The recovery was led by a strong performance in Asia. It doubled sales in Indonesia and also sold well in Thailand and China. Importantly, it also saw sales rebounding in the home market, suggesting the firm was beginning to rebuild consumers' trust after the scandals. According to sales figures released earlier this month, Nissan was the best-selling firm in the alliance, selling 5.81 million cars last calendar year. Renault sold 3.76 million and Mitsubishi Motors 1.03 million. For the fiscal year 2019—ending in March—Mitsubishi aims to sell 1.25 million cars producing a turnover of 2.4 trillion yen. It projects a net profit over the fiscal year of 110 billion yen, a gain of 2.2 percent.